If you’re thinking of planning a tropical getaway up on the white sands of Townsville, look no further than the self contained accommodation offered by Sails on Horseshoe. Overlooking the beautiful beachfront of Horseshoe Bay on Magnetic Island, our holiday apartments allow you to get the most out of the Townsville experience, combining convenience with natural beauty to create a carefree holiday for you and your family. 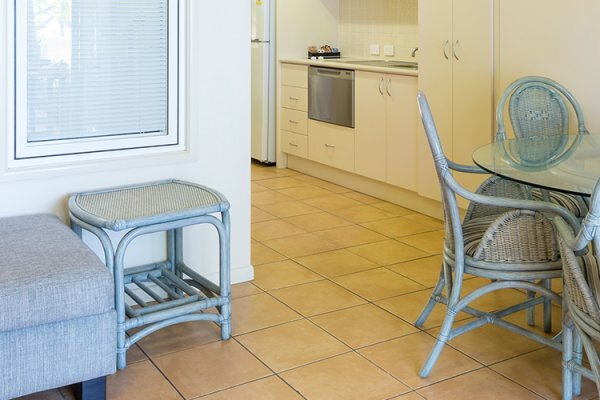 With a range of single bedroom and 2 bedroom apartments to choose from, browse our range of self contained apartments and start planning your next stay in Magnetic Island today. Located just 8 kilometres offshore from Townsville, Magnetic Island is a pristine little slice of tropical paradise, offering everything you’d want from an island off the coast of Queensland – shipwrecked ruins, leafy palm trees, Indigenous cave drawings, and an abundance of native animals and unique flora. Our accommodation in Horseshoe Bay gives you immediate access to all that Magnetic Island has to offer, as well as being closely located to convenience stores, pubs, cafes and restaurants. 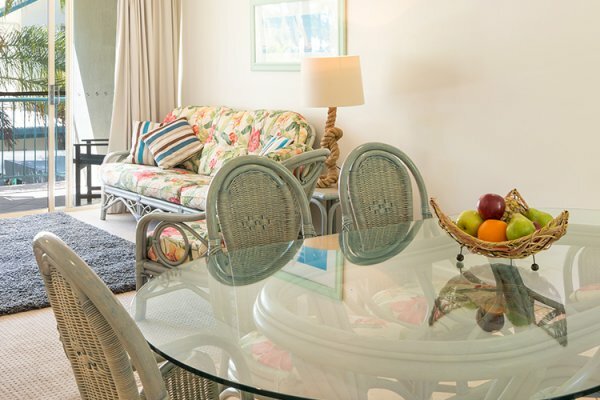 Whether you want to stay in one of our deluxe 2 bedroom holiday apartments with the whole family or bunker down with your partner in a one bedroom unit on the beachfront of Horseshoe Bay, our self-contained accommodation is perfect for those looking to dictate their own tropical holiday experience. Enjoy a pool side BBQ, explore the island’s crumbling World War II bunkers, dive into the warm tropical waters – lose yourself in paradise. 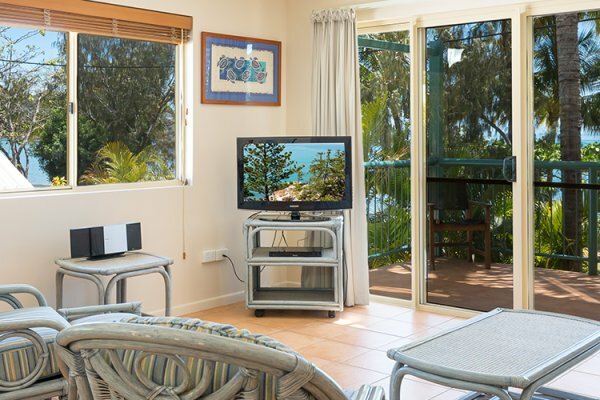 Browse our range of self contained Horseshoe Bay accommodation options on Magnetic Island today. Feeling a sea change? Explore our range of self contained beachfront accommodation in Magnetic Island, and get in touch with us to book your getaway with Sails on Horseshoe.